Still a gateway to St Remy today, these Roman remains known as Les Antiques can be seen from the main road upon entering the town from Les Baux. Around 1km to the south of St Remy, they are key parts of one of the best preserved ancient sites in Provence. Opposite this arch and mausoleum are the Pompeii-like ruins of Glanum, a fortified town deserted since 260 AD. Glanum was first founded by Celto-Ligurian tribes before being taken over by the Romans in 27 AD. There were baths and a forum but not arenas like those seen in nearby Arles and Nimes. There are many Roman sites in Provence, notably at Arles and Orange. 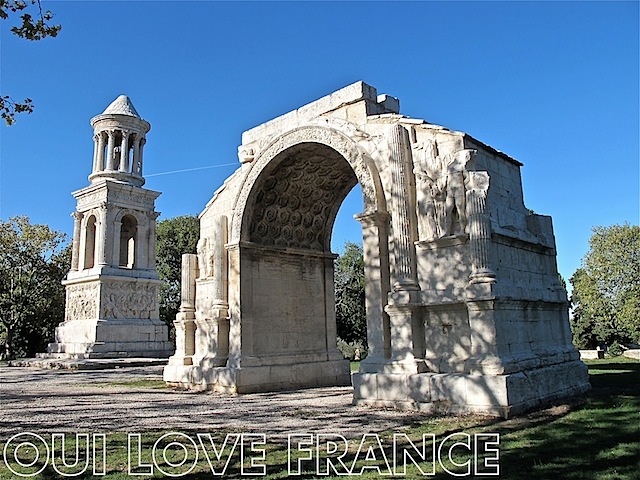 Have you visited any Roman sites in Provence?